We have domain, hosting, server and storage solution for all types of needs. Be it web/shared hosting, open source or virtual, dedicated or cloud server, we have got you covered. Sit Back, Let CloudMacways Take away Hosting Worries! 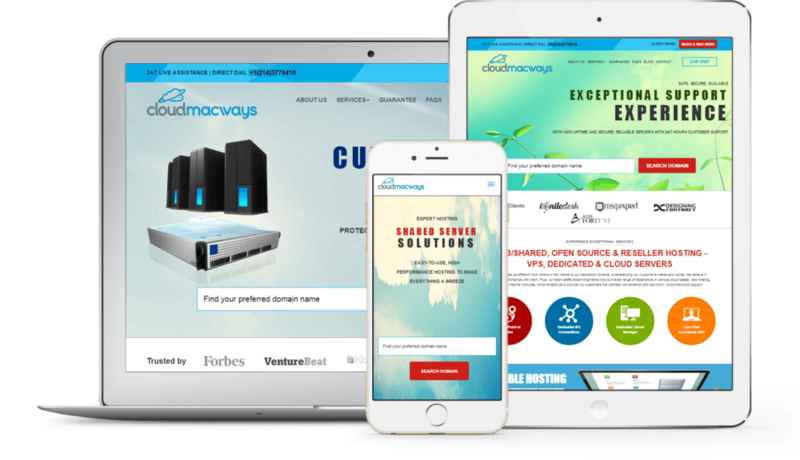 CloudMacways has assisted a number of small, medium and large enterprises with their hosting needs. 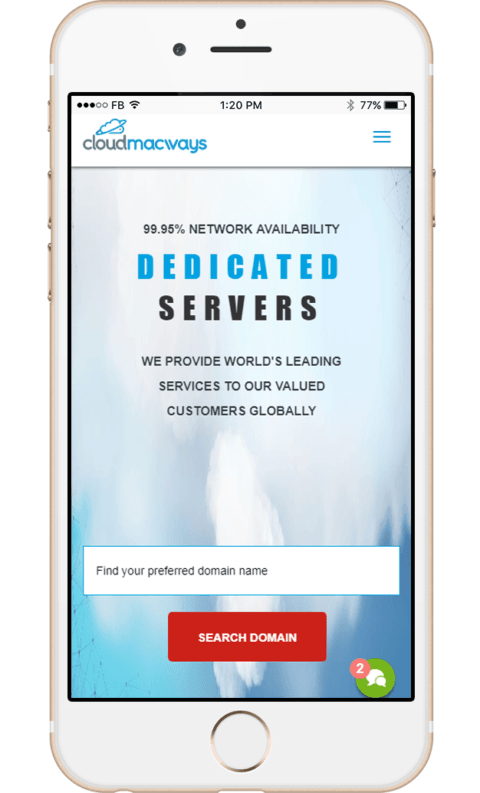 We empower individual and businesses to grow their business on the web via our reliable and affordable domain, hosting, server, and storage needs. We have many solutions for you. Name it and you got it! You can search through different domains. Be it .com, .biz, .org, .info, and .net, we have got you covered. These domains are available at the cheapest price ever. On some packages, domain is free for the first year. Get different hosting based on your needs. We have various hosting plans for individuals, business and resellers. Whether you need a web hosting or an open source hosting, we have got you covered. We also offer you VPS and shared hosting. To be protected online, it has become vital to have SSL (Secure Socket Layer) certificate integrated with your website domain to be validated. We pledge to charge you the lowest amount to protect your website and keep it safe on the web. We also have server and storage facility for enterprises. We offer server solutions for Linux, VPS server, Windows VPS service and Dedicated Servers. We also have an unlimited storage facility for a very reasonable price. With every service, we offer free add-ons as well as perks. We have 24x7x365 customer support facility via phone, email and live chat support. You can also contact us on holidays. We offer multiple means of payment so that you can pay quickly & easily e.g. PayPal, Credit card, & bank transfer. We are the only company in the market offering 30 days money back guarantee in case of dissatisfaction with our services. With our unlimited space and bandwidth, you can store your website’s content and serve pages to your users. Free site builder has become a must for managing you hosting service. We offer free site builder for both ASP.Net PHP. Now you can get free domain with our hosting package. We offer different domains i.e. .com, .net, .org, and .info. With hosting package, we allow you to access easy control panel to manage your website, emails, FTP and databases. CloudMacways is compatible with all devices. So, you can place your order by using a desktop, mobile or tablet. Easy and User-Friendly Website to Place your Order! 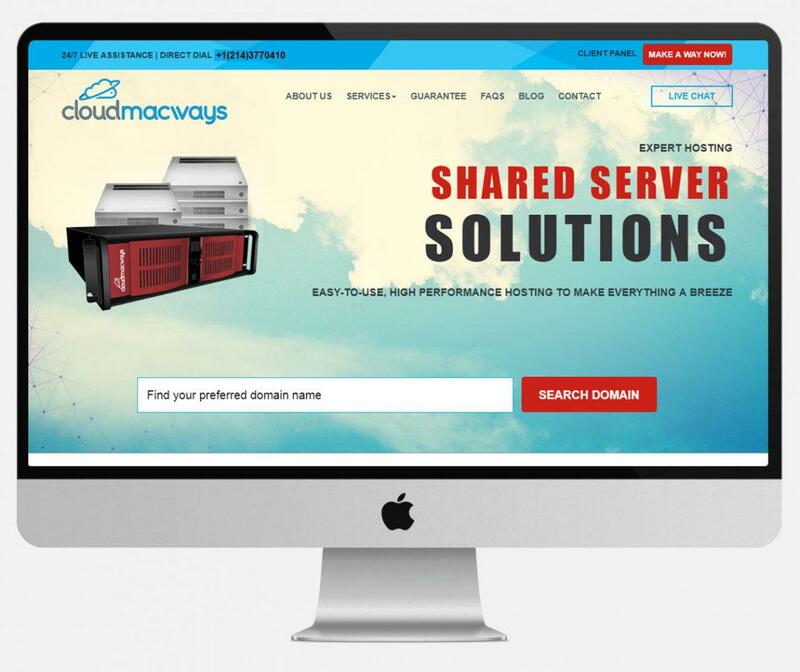 CloudMacways has been designed in to meet the customer requirements. You will find the website easy and user-friendly. You will never face any problem ordering here.